Samsung has begun punching out 60nm 1Gb DDR 2 DRAM chips in volume, the company announced today, claiming it's the first memory maker to do so. It's offering the chip on 512MB, 1GB and 2GB DIMMs, it said. The South Korean giant first created the chip in 2005, spending the intervening time getting the design ready for mass-production. Most memory produced today is fabbed using an 80nm or bigger process, and even Samsung admitted 60nm isn't going to become the most widely used process technology until next year. 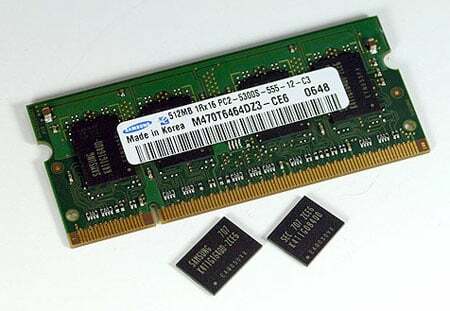 Samsung announced it was mass-producing world's first 80nm 1Gb DDR 2 chip in August 2006. However, the smaller size makes for greater numbers of chips per wafer, which should help push prices down or at least let you get more bytes for your buck. Handy that, given the ever-higher minimum memory specifications being imposed by Windows Vista.